Based on his provocative and popular New York Times op-ed, The Man They Wanted Me to Be is both memoir and cultural analysis. Jared Yates Sexton alternates between an examination of his working class upbringing and historical, psychological, and sociological sources that examine the genesis of toxic masculinity and its consequences for society. As progressivism changes American society, and globalism shifts labor away from traditional manufacturing, the roles that have been prescribed to men since the Industrial Revolution have been rendered as obsolete. Donald Trump's campaign successfully leveraged male resentment and entitlement, and now, with Trump as president and the rise of the #MeToo movement, it’s clearer than ever what a problem performative masculinity is. 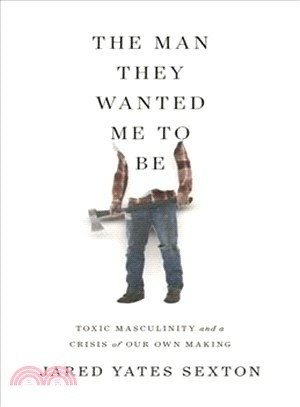 Deeply personal and thoroughly researched, The Man They Wanted Me to Be examines how we teach boys what’s expected of men in America, and the long term effects of that socialization—which include depression, suicide, misogyny, and, ultimately, shorter lives. Sexton turns his keen eye to the establishment of the racist patriarchal structure which has favored white men, and investigates the personal and societal dangers of such outdated definitions of manhood. JARED YATES SEXTON is the author of The People Are Going to Rise Like the Waters Upon Your Shore. He is a contributing political writer at Salon, and his political writing has appeared in The New York Times, The New Republic, and elsewhere. Sexton is also the author of three collections of fiction and a crime-novel, and is an Associate Professor of Creative Writing at Georgia Southern University.